The 2018 season has just wrapped up at the World Famous Yatabe Arena and it brough to a close our best AOC season to date. 2018 was filled with so many new friends and great memories that it is hard to believe how fast the year went. We are busy getting things set for 2019 and have a few of the dates already set and the others will be confirmed soon. We will be kicking off the season at RCI V2 in Shanghai and have schedule it during the Formula 1 weekend so we will adjust our race days to allow us to attend the Grand Prix on Sunday. We will be making the trip to Melbourne Australia again where this year we had the largest AOC there ever! The Philippines was on the schedule for 2018 and it was great to visit this new market to the onroad World and we are looking forward to making the trip there again in 2019. GRC Raceway has become our home in Korea and we will again return to GRC Raceway and continue to give racers in Korea something special. We will wrap up the 2019 season at World Famous Yatabe Arena which gives us the best location for such a great finale. Yatabe Arena is a bucket list venue for the onroad world and we hope you can make plans to join us. We will be adding a few new classes to the 2019 plans adding Front Wheel Drive to each round as well as Mini’s. So even though 2018 just finished yesterday, plans are already rolling for an even better season in 2019 for the AOC. If you have any questions at all, please feel free to drop me an email at scottyernst@gmail.com and I will be happy to help. Thanks for an amazing 2018 and we look forward to an even more exciting 2019. The world of on road racing has been a favorite for many of us around the world. From the early days of Pro 10 Cars and 1/12th Scale to Touring cars and F-1, there has always been a love for On Road. Years ago I started the IIC event to make a world caliber event in Las Vegas. Through the years it has grown to be a great event. Later on we started the Euro Touring Series and that also has grown to be a great series that brings everyone together to share in our passion for on road racing. Now it is time for the next event. Over the past few years, I have been asked if it was possible to get a big on road series going in Asia. Thus the birth of the Asian On road Championships. 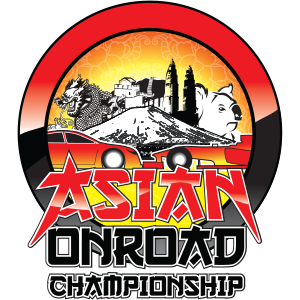 The AOC will be a group of events that travel around Asia and each year bringing a fun and exciting series to racers and helping sponsors expose their brands to new customers. On Road racing is extremely strong in Asia and the roots of many of the companies that design and manufacture cars and parts are located within Asia making this the perfect place to make an exciting Championship. The AOC will focus on the fun we can have in an organized event. Simple rules, great friendships and exciting racing. All the info can be found on our website at www.aocrc.com as well as our Facebook page. All of us involved with the AOC hope that you will be able to join us for one of the events as we travel around Asia and the Pacific and share in the love we all have of On Road racing.